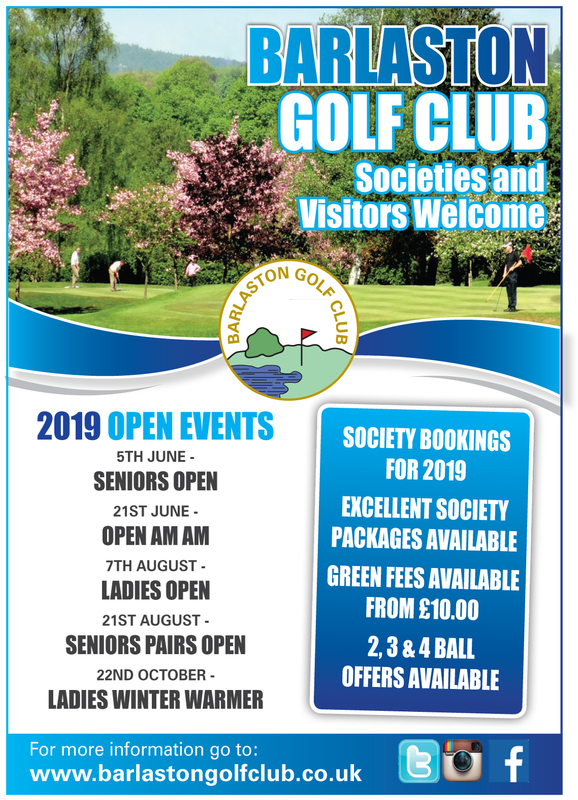 Branston Golf & Country Club’s 2019 golf captains got their year underway with the traditional ‘drive-in’ and charity fund launch at the Club last weekend. One hundred and fifty-six golfers joined Club Captain Paul Allen, Lady Captain Lynne Woolley and Junior Captain Tom Alford for a Texas Scramble shotgun start on Branston’s Championship course after hundreds packed the Clubhouse terrace to welcome the new captains as they got their year off to a Stone Age Flintstones start in a fun ‘drive-in’ with a difference. 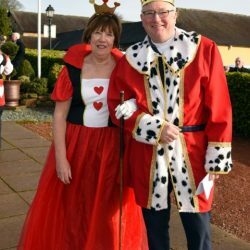 Splendid sunshine aided the record crowd’s enthusiastic welcome for the captains Flintstones style drive-in beginning with the riotous arrival of Betty & Barny Rubble with their pet Dinosaurs Dino & Donna all introduced by Club President Alan Jinks. 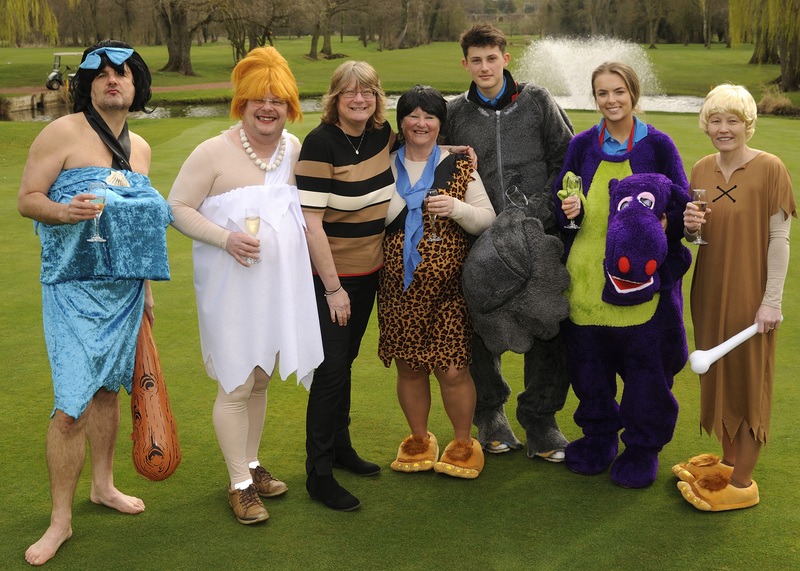 Then to the Flintstones theme music, Fred & Wilma aka Paul Allen & Lynne Woolley arrived to loud applause and hoots of derision both dressed to impress in their dug-out log canoe complete with offensive weapons to fend off the dinosaurs invading the Club’s famous 18th green. The traditional Drive-in from the 18th. green over the Club’s infamous water hazard was led by Junior Captain Tom Alford who, although hampered by his dinosaur costume, acquitted himself well with a fine drive. 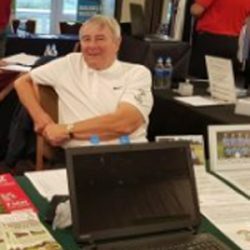 Not so lucky were lady captain Lynne Woolley whose ball just make it to the far side of the green and Paul Allen whose attempt may well have landed in the lake. 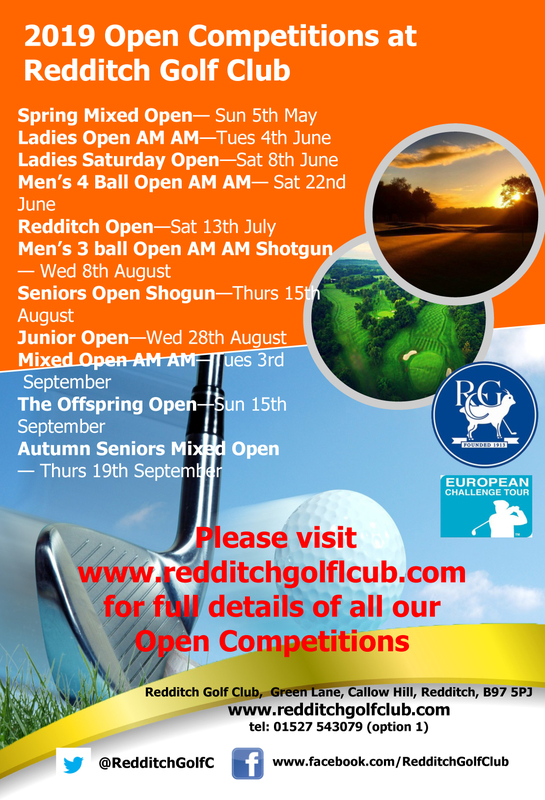 This year’s captains fundraising is dedicated to supporting two children’s charities. Mrs Jackie Percy from the local Fountains School at Stretton that caters for children with a wide variety of special needs and disabilities, addressed the crowded clubhouse terrace and later at the sell-out dinner and awards ceremony Mark Pegg, from SPARKS the fund-raising arm of Great Ormond Street Hospital encouraged everyone to support its research into children’s’ illnesses. 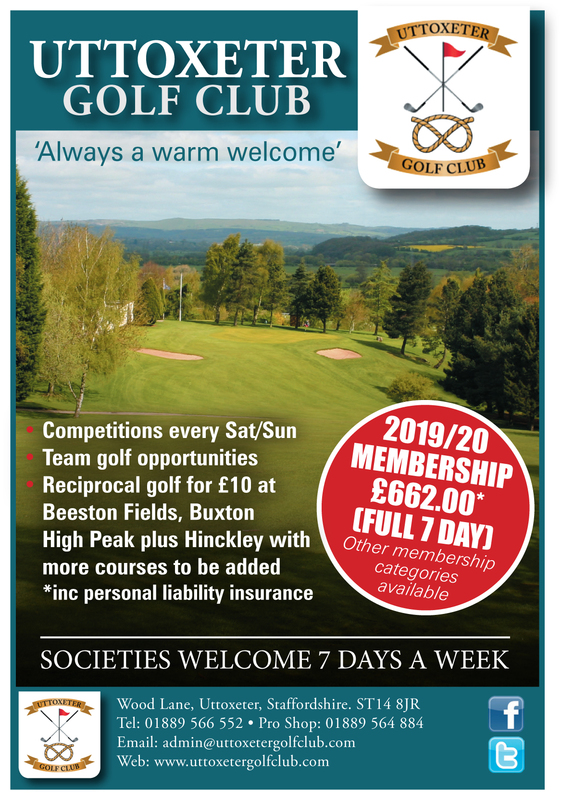 One hundred and fifty golfers took part in Branston captains shotgun started Mixed Texas Scramble that was won by Jon Orme’s team of Sue Dow, Helen Dickerson, Brian Gill, Richard Pettitt and Paul Richens. “The whole momentous day was a huge success and fabulous fun, one that we will always remember and treasure,” enthused Paul Allen. 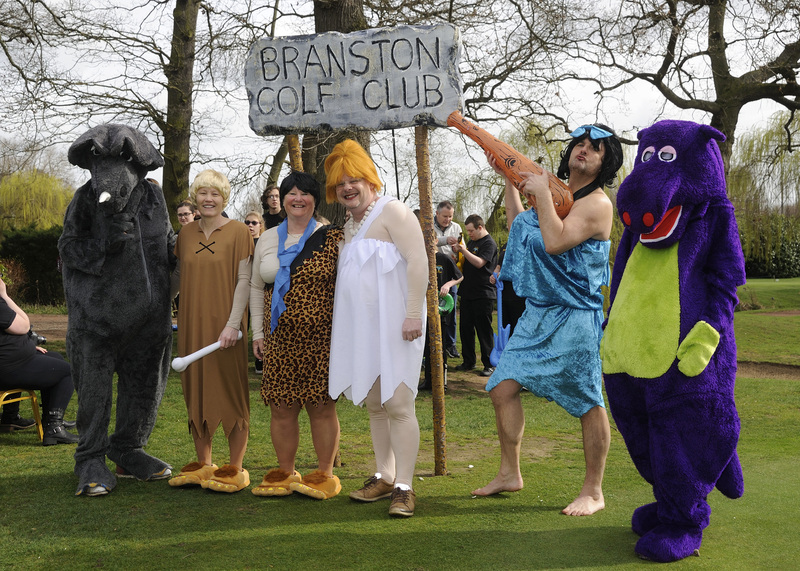 Flintstones Lynne Woolley, lady captain, & Paul Allen, club captain, step out of their dugout canoe all set to attack the invading dinosaurs at Branston Club’s captains drive-in. 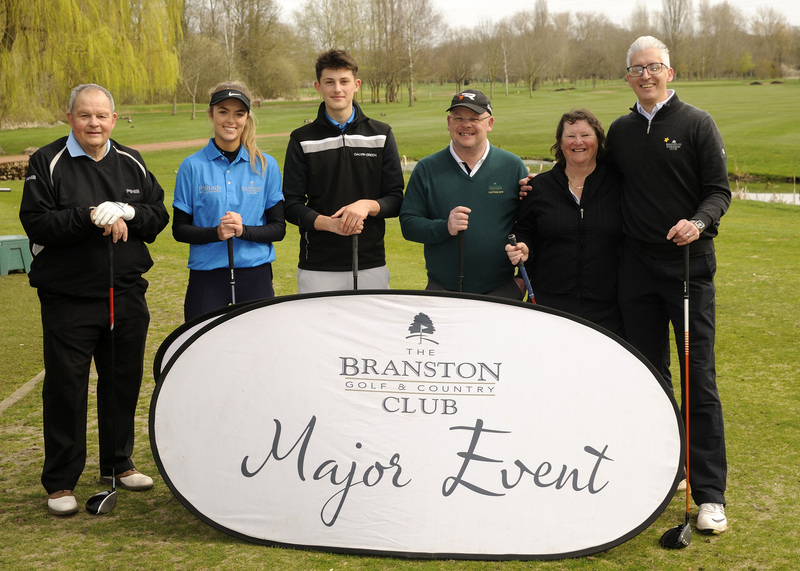 Branston Golf & Country Club’s captains drive-in team (l-r) Susie Spruce (lady vice captain); Lynne Woolley (lady captain); Paul Allen (club captain); Dave Bryon (vice captain); flanked by dinosaurs Tom Alford (juniors captain) & Issi Bryon (junior vice captain). Branston captains Flintstones drive-in team (l-r) Dave Bryon; Paul Allen; Jackie Percy (head of Fountains High School); Lynne Woolley; Tom Alford; Issi Bryon; Susie Spruce.